We've made a lot of videos over the years—sometimes absurd, sometimes insightful, sometimes just to embarrass and torment our staff. For the productions we work extra hard on, the ones that probe the depths of tech & design, we are introducing a new moniker. Apart from being greeted by our lil GizShorts logo at the beginning of all our featured documentaries, it will also be the lead tag in each post, so you'll be able to easily access our growing collection of stories, interviews, and behind-the-scenes looks. 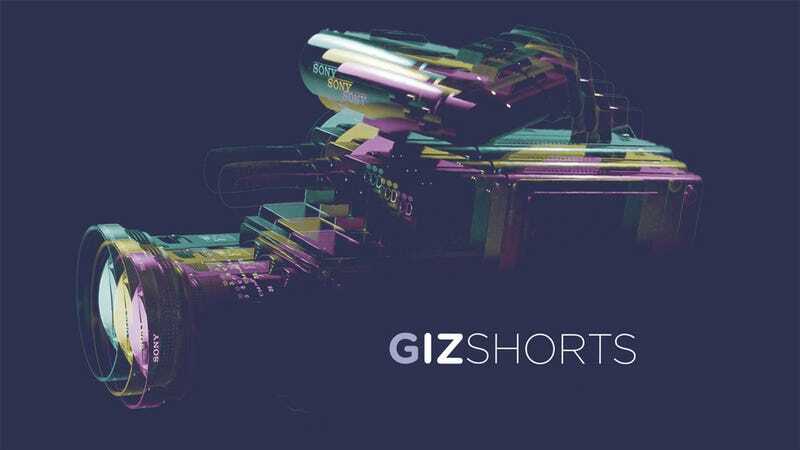 We will also be going through our archive from the past couple of years and tagging relevant video posts as GizShorts. There are some great ones you may have missed, like when we talked to Reggie Watts about his musical gadgets, or when we took a stroll on top the the largest crane in the western hemisphere. We're proud of our videos, and want you guys to be able to find them quickly and easily. Happy watching!